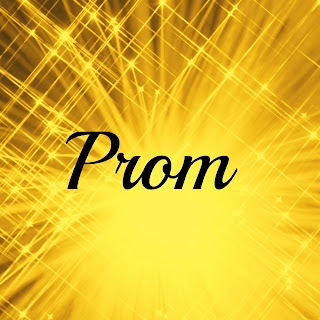 It is prom time here and this will be the last chance for The Senior to go to one. But she really isn't interested in going. A lot of people give her flack about not wanting to go, they say she will regret it when she is older. I told her to follow her heart and do what she wants. What is true for one person isn't true for others. I never went to prom and I don't regret it one bit. I never sat there wondering what could have been. 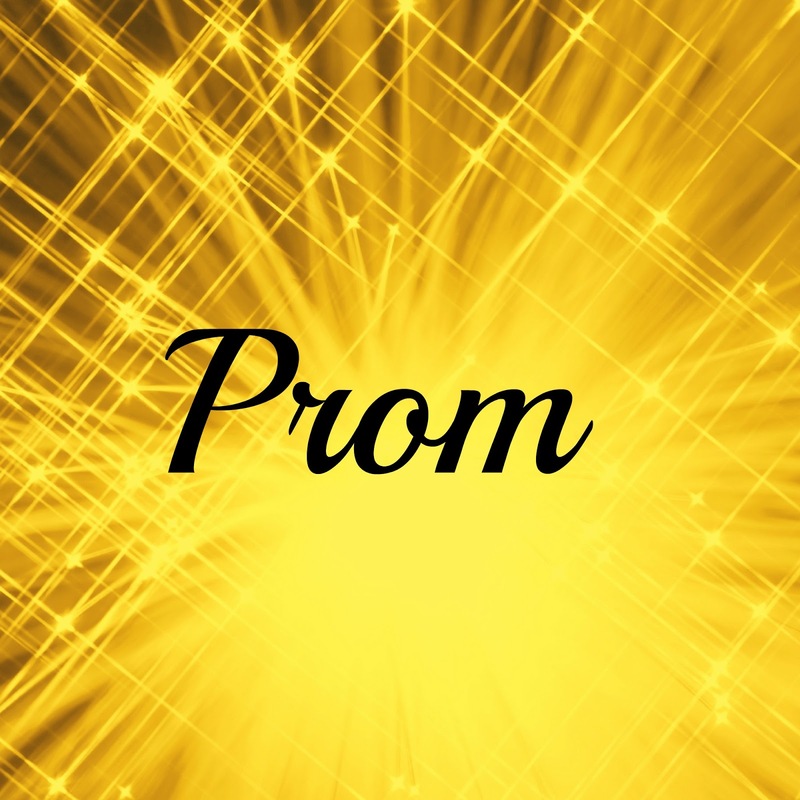 To me prom seemed to be somewhat of an overwhelming prospect. Perfect dresses, dinner plans, so much money, being in a crowded gym that was beautifully decorated but still a gym. So much to do and plan, so many expectations to live up to when I just wasn't interested at the time. I did often wonder if I would someday regret it, but it is now twenty-four years later and I'm not too upset at all. I think the reasons for not wanting to go to prom have changed in some ways over the years, and not changed in others. I know for The Senior, a big reason for not going is how the kids dance nowadays. Let's just say, from what I've been told, these kids put dirty dancing to shame! And the school can't seem to get a handle on it. They have a plan in place where the kids get two wrist bands and if you get caught once you lose a wrist band and have a 'time out' and then if you get caught again, you lose the last wrist band and get kicked out. Ummm when I was in school you got caught doing something like that once and you were gone and on in-school suspension for three days. Period. End of damn story. So, not only were you out the money you spent on your date, but you also got to spend the next three school days looking at the inside of a cubicle in the suspension room. Needless to say, there wasn't much misbehavior at our school dances. There are also the usual social reasons for not wanting to go that haven't changed over the years. Will my dress be pretty enough? Can we afford to do all of the fun stuff that other kids are doing, do I know my date well enough to know that he/she isn't going to try to get something I'm not ready to give up? Am I a good enough dancer. Do I have the courage to ask someone to go to the dance with me? Well, for the Senior there would be no problem getting her a dress because we had just had our tax refund and they have a great consignment type shop here that carries all of the latest styles of dresses and is affordable and if worse comes to worst, the school nurse keeps a stash to lend out for free (and they are very nice dresses) We could also come up with some extra spending money for stuff if we had to and her boyfriend would definitely make sure she had a great time. That brings us to the other problem some kids have, asking someone to the prom. Because she has a steady boyfriend, she would have a ready made date whom she trusts and shares moral views with (as a mom I sure hope that is true right!?!?). She might be worried about whether she is a good dancer, but I don't think that is at the top of her worry list and if she wanted to there are always dance lessons offered by the school (another effort to try to clamp down on dirty dancing). I am so proud that The Senior didn't let her friends talk her into doing something she just really didn't want to do. Something that would have been a waste of money and resources and would have been a very uncomfortable situation for her and her date. If you want to go, then do it, and make sure you have a wonderful memory filled night to remember, but if you don't want to go, don't sweat it! Even if all you do is stay home and read a book, that is fine because it was a choice that you made. Be proud of that! And to cover all bases, for those who truly can't afford it, or can't find a date, don't regret it because it isn't the end of the world. Prom is what you make it. If you know you don't have a date or can't afford to go, turn prom into something that just isn't for you. Be positive about your feelings and never regret a thing you've done. Until Next Time...Don't let people pressure you into doing something you don't want to do! Do what you feel is right. And if you can't do something you wanted to, don't regret it, there are far more important things to worry about in life.